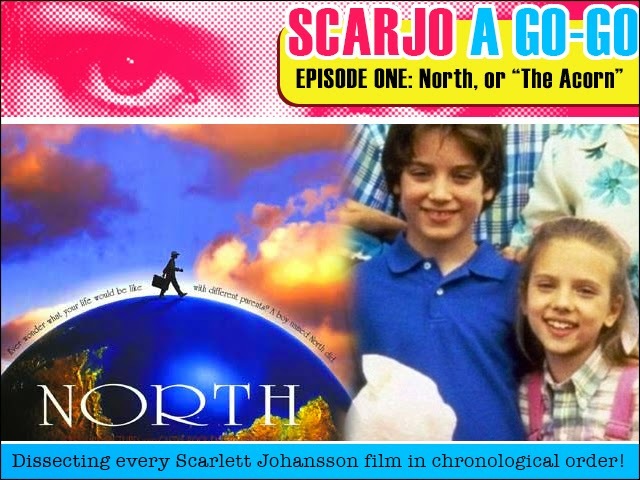 Fruitless Pursuits: Scarjo A Go-Go Episode One: North, or "The Acorn"
Scarjo A Go-Go Episode One: North, or "The Acorn"
Welcome to Scarjo A Go-Go, the podcast where we chronicle and dissect the films of Scarlett Johansson one-by-one in chronological order, learning everything there is to know about her career and her craft as she grows from tiny nugget to A-list actor. It is presented with respect, humour, and academic rigor. And we only ever refer to her by the reductive "Scarjo" in the title/theme song, because it rhymes! This week we go all the way back to 1994's North, where a tiny acorn-like Scarlett makes her screen debut as some sort of tiny child! Why was she cast? What are her three greatest feats? What does all this mean for the future? Our Scarjourney begins right here! And thanks to the always wonderful Lizzy Unpronounceable for the theme song! Please SUBSCRIBE to us on iTunes, plus you can like us on Facebook, and discuss this episode in our friendly Facebook group! If you enjoy it, spread the word!